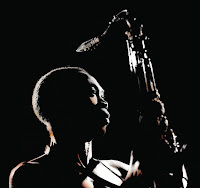 The first set of Fela Kuti reissues are now available via Knitting Factory Records. The "Chop 'N Quench" batch contains a total of 9 albums, all re-mastered and re-released in digi-packs with their original artwork. These works represent the earliest period of the late Nigerian, Afrobeat legend's work from 1969 - 1974. The releases are available in digital, physical and deluxe versions HERE. Check out the handy widget below to stream a four song sampler. New Yorkers, it's time to get your party on! There's going to be a record re-release party on Wednesday, February 17 at the Knitting Factory. Y'all know where that is, that's over in Williamsburg, Brooklyn. 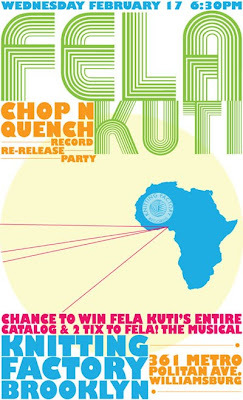 So, head on over to celebrate the re-release of Kuti's first 9 albums.